We are only taking a short trip this week. Down to the coast at Agde. Only a short drive. 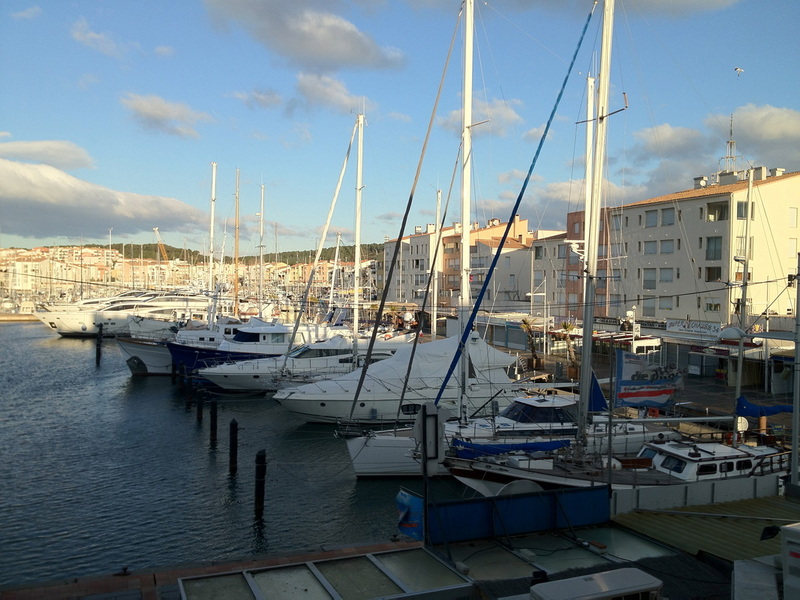 Agde is really an area with 3 separate townships. 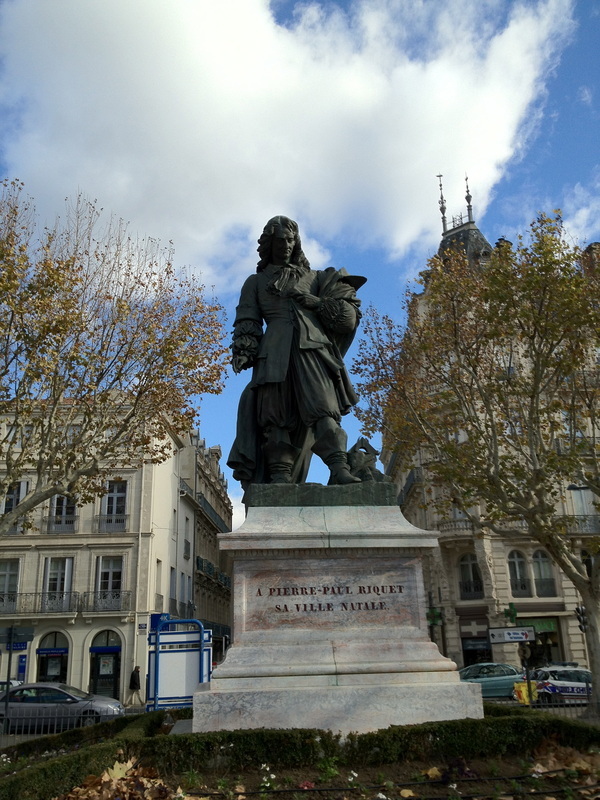 First there is the old city which is on the Herault River a few kilometres from the Mediterranean coast. This town has been a port for trade since before the Roman Empire. 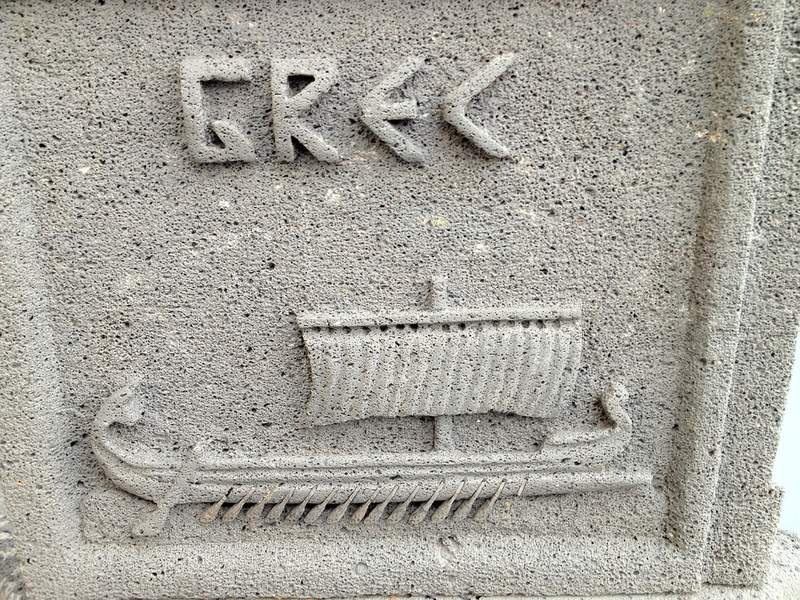 The Greeks came to trade hundreds of year before the birth of Christ. At this time of the year this is by far the most interesting part of the area. 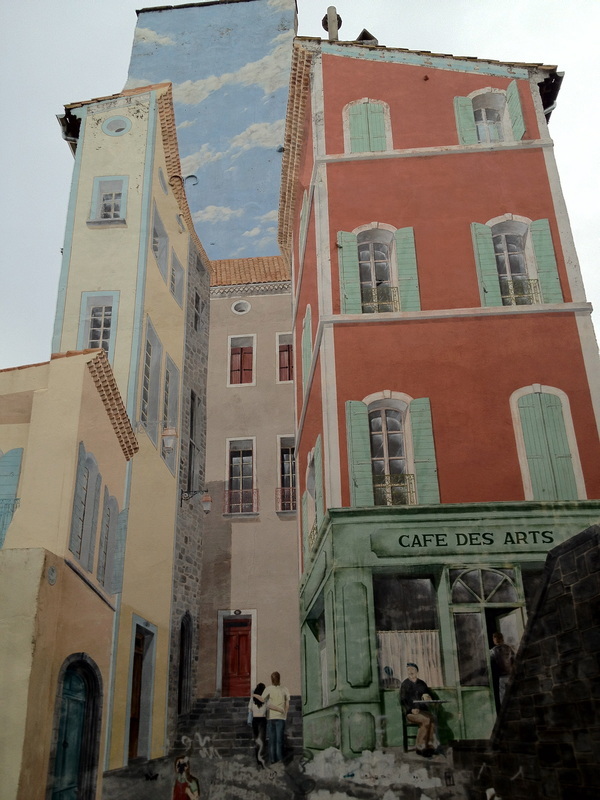 On the coast the township is called Cap d’Agde. This is a summer holiday playground with a massive marina. We are staying in the hotel overlooking the Marina and out our window we can see $m’s worth of pleasure shipping. There are also plenty for sale. We go for a walk on the Marina and I suggest to Margie that we buy a 2 masted sailing ketch and sail it back to Australia. She however does not trust my sailing skills nor does she fancy running the gauntlet of the Somalian pirates. I tell her that I doubt they would attack a lawyer but she is not convinced. The area is pretty deserted at this time of the year. Only the odd restaurant is open and quite a lot of the shops are closed. I count only 3 other lights in the hotels rooms. 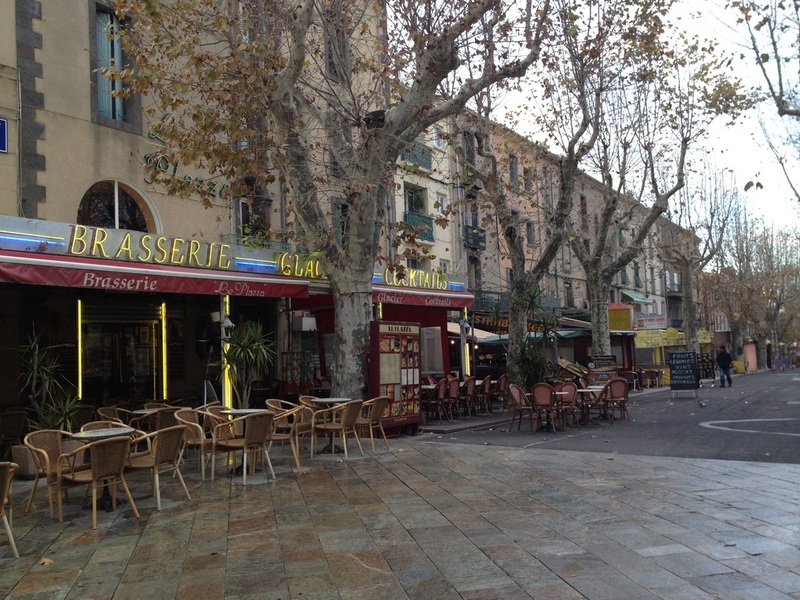 We drive back to check out Agde and look for a good restaurant for dinner. We have some lunch at a massive Brasserie with about 3 other patrons. Pretty good Tagliatelli carbonara though. At night we come back looking for the restaurant lauded by Tripadviser (usually pretty reliable) but it is gone replaced by a pizza joint. Luckily however there are a number of good looking restaurants lining the bank of the Herault. We choose a cozy place. Only about 10 diners but again they have a massive menu. I don’t know why they do it. Surely in the off season a cut down menu with less produce to keep would be a better option. I decide to test and ask for the Lobster. Not available. I didn’t think it would be. Pretty costly to carry that sort of produce when you only have 10 patrons. A tradesman like offering that we have found to be very common in France. Not pushing any gastronomic boundaries but good product and everything done well. We discuss why with so many positives the restaurant don’t try and push the boundaries a bit more. “La Tradition” I expect. 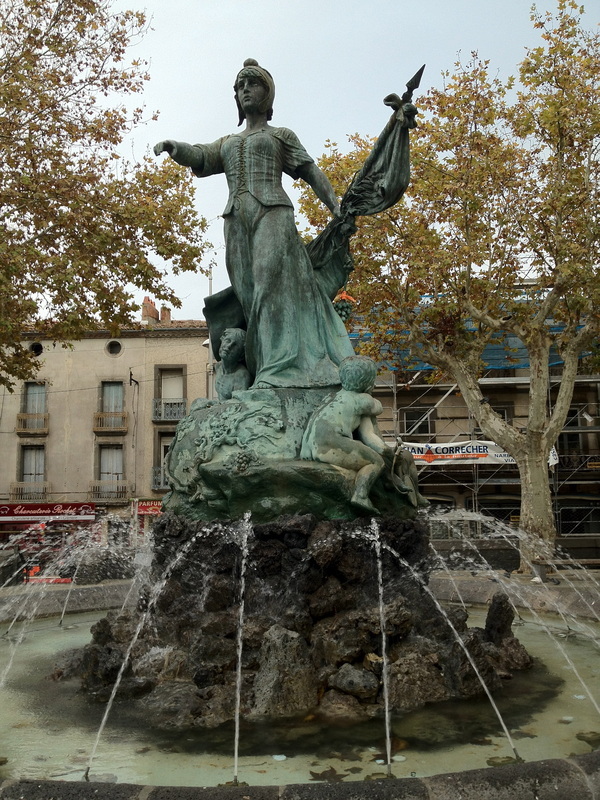 The next day we are back in Agde to explore the old town. The buildings here are different. The stone is volcanic basalt and it gives the old buildings a darker and more menacing look. I expect that the place really rocks in summer but you have to keep in mind that we are higher in latitude than the bottom of Tasmania or Dunedin so it is not all that inspiring at this time of the year. Walking along the riverbank however it is impossible not to be infected with the history seeping through the stones that make up the riverside wharf. There are old stones pillars worn by the rub of a thousand years of ropes tying up here. In the walls of the buildings adjacent to the river rusted iron rings obviously used for a similar purpose. People have been coming here in boats for perhaps 3000 years. The town has a very good museum and we pay it a visit. One of the most interesting exhibits involves the local sport of jousting from the back of rowboats. There are models and the shields and lances used in the contests. Looks like a lot of fun. 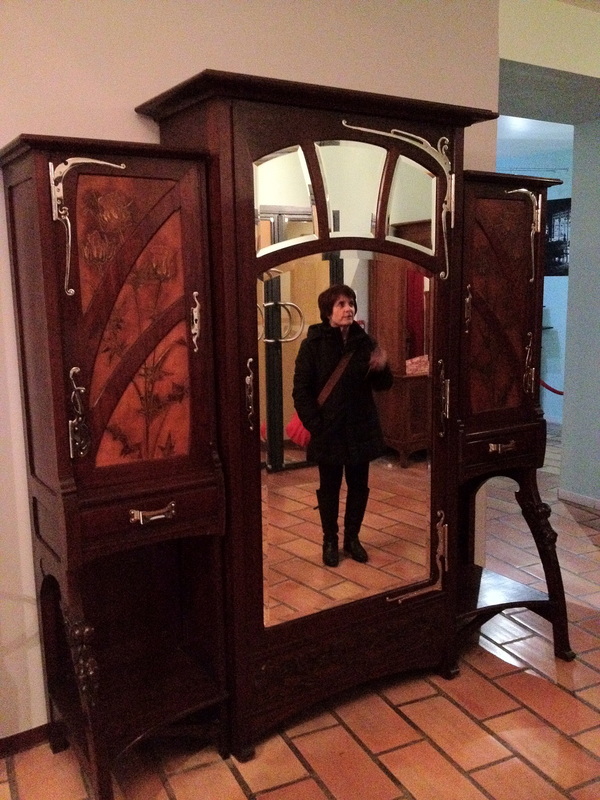 The museum is a treasure trove of interesting exhibits including some magnificent examples of art deco furniture. Well worth the visit. Next we are off to Beziers to finish our Christmas shopping and check out one of the major Cathar sites that we have not already visited. 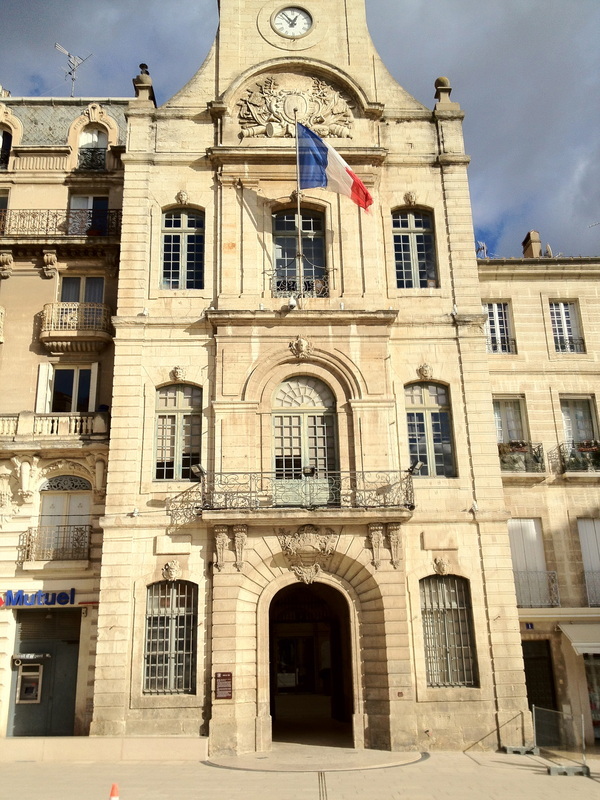 Beziers is one of the main cities of the region and has about 150,000 inhabitants. It was an important city in roman times. There are many remnants of life in the days at the height of the Roman Empire. The city’s museum has many excellent examples of roman antiquities. Like the Pont de Gard there are examples here of engineering feats in the Roman that are breathtakingly amazing. 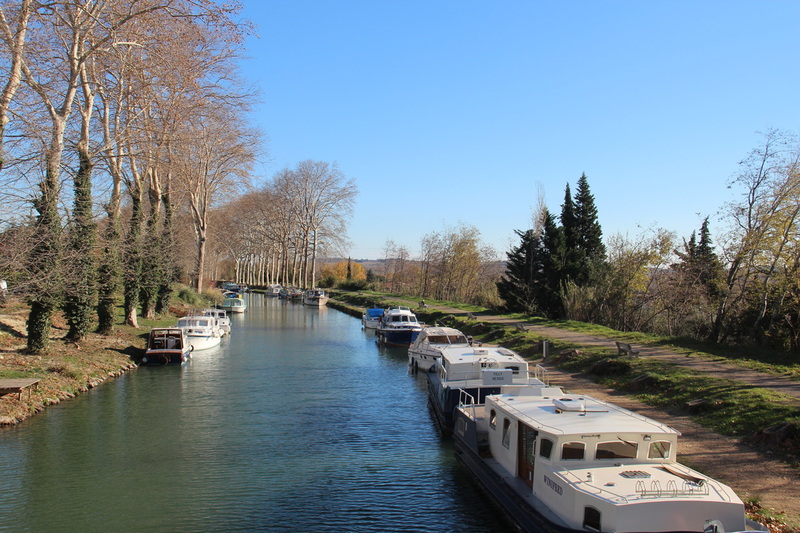 One of the most amazing however is the Canal de Midi which starts near here and runs to Toulouse allowing a navigable link between the Mediterranean and Atlantic Oceans. From the heights of the Cathedral of St Nazaire we can look down on the canal. I am however interested in the events of July 1209. An army of 20,000 mounted knights and between 60 – 150,000 foot soldiers, an undisciplined rabble, mostly vagabonds and criminals attracted by the promise of spoils taken without recrimination laid siege to Beziers. They were there on a so-called crusade organized by the Church of Rome against the heresy of an alternate version of Christianity, Catharism. The defenders had some confidence that they could hold out for 40 days after which they expected many of the knights, having gained their indulgence, would leave. This strategy may have worked except that somehow, perhaps through an imprudent guard or even a traitor, the rabble gained entrance to the city and its defenses were overcome. The rabble commenced to murder the inhabitants and take their spoils. Apparently the knights tried to restore order but were unsuccessful. They approached the Pope’s Chief Legate, Arnaud Amaur, for guidance pointing out that many devout Catholics were being killed in the rout perpetrated by the rabble. He is said to have ordered that they “kill them all, God will recognize his own”. In all between 10,000 and 20,000 inhabitants of the city were murdered including a large number who were sheltering in the Cathedral of Saint Nazaire, which was set on fire causing its roof to collapse. Thus commenced a war against the Cathars which lasted over 30 years and saw numerous atrocities committed in the name of the Church of Rome. A war of conquest and control of the economic riches of the area carried out in the name of the Church. There is little to see of the Cathedral of Saint Nazaire as it existed in the early C13th. It has been demolished and rebuilt on several occasion since the massacre that took place on 22 July 1209. The current Cathedral is however an imposing and impregnable looking structure and the site it occupies is high on a hill in the centre of the old city. From the forecourt of the Cathedral one can see the mountains to the north over 25 kms away with the river and plains laid out 100’s of metres below. It is easy to see how the defenders of this site over 800 years ago had optimism that their position was impregnable. 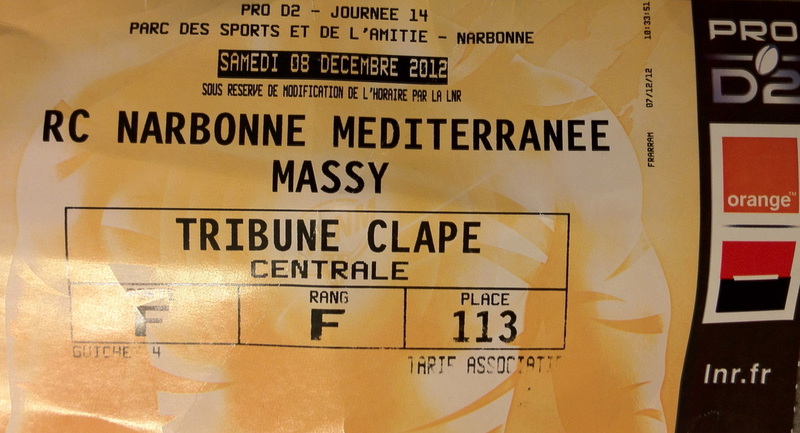 On the way home we call in to catch the game between Narbonne and Massy in the French Pro 2 Rugby Competition. Last week we watched Narbonne play neighbours Beziers. We have spent the day in Beziers and Narbonne is on the way home so we call in to watch the game. This is professional rugby. Both teams have a good number of international players. Narbonne is an Australian enclave being owned by Bob Dwyar’s company, coached by Wallaby lock, Justin Harrison and captained by another Australian Josh Vallentine. Narbonne are pushing hard for a revival after being at the bottom of the Pro 2 Division for the last couple of years. Their game last week against Beziers was a disciplined professional exhibition to produce a good win against a pumped up home side. This week they play bottom of the table Massy. This club is experiencing its first year in this division after being promoted from the Federale 1. They are struggling at the bottom of the table and the long trip to Narbonne would not be expected to produce a win for the visitors. Watching the teams warm up you can’t help seeing the difference. Narbonne run through their drills precisely. They finish with some shadow play and I didn’t see a dropped ball. On the other hand Massy’s warm up progresses in a haphazard and seeming serendipitous fashion and as they finish the ball is passed to players who seem surprised by its arrival and consequent drop it. They do not however seem concerned as they and trot off to the dressing room . As expected Narbonne are on fire for the first quarter of the game. At the 20minute point they lead 17 -3. At this stage they could well have taken a complete stranglehold on the game but they drop off in intensity and when the Massey No.8 and captain is given a yellow card they seem to go to sleep completely. At half time Massey have clawed their way back into the game and the score is 17 – 12. Narbonne make a bad mistake against a team playing at the bottom of the table. They fail to put them away. Massy with the sniff of a rare win start to play out of their skins. Their captain returns. Narbonne lose a secondrower for a high tackle. Suddenly the unthinkable is happening and Narbonne are looking down the barrel of a loss against the cellar dwellers of the Pro D2 Division. Their supporters are not pleased and are not afraid to vent their displeasure with the home team. The game starts to get really exciting. I love this French rugby. Kicking is rare. The ball clears the ruck and maul quickly and runners run hard at holes in the defensive line. Passing and catching is precise. The game sweeps from one end to the other and is exciting to watch. Sure there are errors forced by the pace and style of play but they are more forgivable that some I have seen in recent international matches. At least these players are trying to win. This is not however touch rugby. Defence is uncompromising. Set pieces are contested fiercely and the maul is used well. As the second half progresses the Narbonne scrum cannot hold the enthusiastic visitors. They cough up the ball or concede a penalty from each scrum. To make matters worse their lineout is also giving up ball on their own throw. Massy are not using any great science just contesting every lineout and whacking the ball back on their side and then hanging onto the possession they get. Living on “scaps” we used to call it. When they get the ball they attack through both forwards and backs. Their backs in particular are a problem as they switch from left to right moving the point of attack and confusing the organised and disciplined Narbonne defence. The game takes a dramatic change when these mistakes start to play a less prominent role due to Massy surprisingly gaining some ascendancy in the set pieces. This means that even if they knock the ball on the Narbonne scrum under gives it back. A penalty may allow Narbonne to kick to touch but their lineout cant guarantee further possession. With 15 minutes to go Masses have hit the lead. Narbonne get a penalty in front and Vallentine opts for the penalty goal even though it only narrows Masseys lead 22 – 20. From the kick off Massy almost recover the ball but in doing so knock it on. No worries however they again dismantle the Narbonne scrum which concedes a penalty which Massey converts to take a 25 -20 lead again. A further penalty in front reduces the Massey lead to 25 -23 and at the 75th minute Massey are clinging to this lead. Narbonne recover some composure and their lineout delivers some better quality possession. With less than 2 minutes left they finish a long period of possession with a try wide out. The score is 28 – 25. Massey have one last chance but cant regather possession and Narbonne play out the last few seconds and Valentine kicks the ball into touch as the fulltime siren blares. An exciting game but not one the home team would be proud of. Although they are organised and disciplined they did not respond well to the Massy revival. Massy’s wild contest at the lineout could have been diffused by reducing the numbers and therefore securing more ball. Although scrum superiority is harder to reverse a team like this should be able to pull it together well enough to get back their own ball without incurring a penalty. In addition they let Massy into the contest and a team that had nothing to lose rose to play above themselves and all but snatched an amazing victory. The supporters are relieved, as no doubt are the coaches and players. Next week there is a long trip into the Pyrenees to play Tarbes. I don’t think we will be making that trip.